If you know a thing or two about online freelance writing, then you understand the importance of online writing portfolio. How many times have you heard that a good portfolio tells your potential clients that you’re serious, about what you’re doing? Lots of times, probably. However, building a good portfolio that showcases your full potential may not be a breeze, and that’s why many people choose to be contented with poorly built portfolios. A good online writing portfolio should be beautifully and professionally displayed. Follow our tips in this article, and they will pay you off- who doesn’t want to be paid?! You have heard about the word “brand” many uncountable times, but what exactly does it mean, in the online writing ecosystem? To put it simply, a brand is a message that tells your customers who you are, and what you do. Use this message to prove to your audience that you have what it takes to be hired. Briefly write whatever it is that you’re doing in a couple of sentences, called it a “brand statement,” if you like. Be sure to include only strong points; things that add weight to your brand. 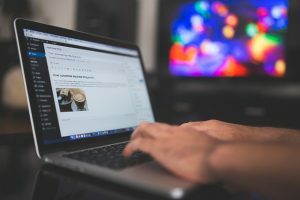 Is it necessary sticking to a single type of writing? Not really. Feel free to sell your brand as a general writer, if you want to, but you should be able to deliver every service you claim to be selling. Use images to add professionalism to your portfolio. Remember, your brand has a lot to do with your unique style of writing; thus, your portfolio should be customisable. Use muted images to emphasize your message if you’re writing about serious topics. If you’re selling content that is meant to entertain, then colourful images may be a great choice. You want to include the best pieces of your work in your portfolio. This could be articles, essays, blogs, press releases, multimedia, or anything another thing, that is relevant and excellent. 10 to 20 samples would be enough, to adequately showcase the quality of your work. Probably, the reader will not go through all of them, especially if the pieces are long. Be sure to display your sample work, either by type or by date, so it appears to be in a logical order. As a tip, each piece should demonstrate a different skill, in relation to the types of writing services you’re offering. Creating your portfolio hurriedly, without bothering to finish it well, may be your enemy number one, because your readers can easily tell. Considering how easy it is to make your portfolio look clean, it will be a big shame. Proof-read your portfolio for spelling and grammar and remove any errors. Read and reread it. Come back another day and check it again- no excuses. Ensure that your links are working properly, by checking them regularly. Use catchy titles. Remove any unclear images and use a clean font. So, you’ve created a beautiful, professional portfolio that sings your brand message. It’s now time to make other people aware of your portfolio, and the best way to achieve this is to share it on social media, such as Twitter, Facebook, and LinkedIn. Make yourself easily accessible by adding a contact form to your portfolio. Finally, sit back, and wait for clients.